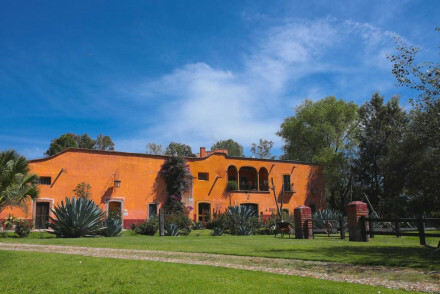 A stunning boutique property set in picturesque rural Oaxaca. Individually designed rooms are traditional in style with high beamed ceilings, exposed stone, hanging tapestries and antique furniture. Gourmet cuisine is served in the converted barn and exemplary massages offered in the spa. Fabulous. 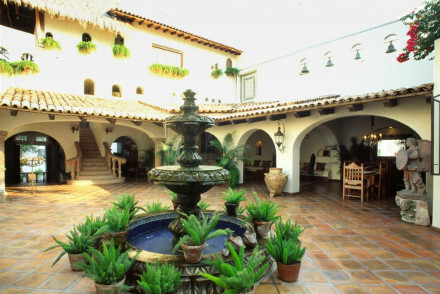 Romantic Break - Couples should opt for Casa Santiago with its candles and in-room marble jacuzzi. Spa breaks - Offering an extensive treatment list in utterly tranquil surrounds. Great walks - Take romantic strolls starting straight from the property door. Restrictions on children - Children over 13 are welcome. 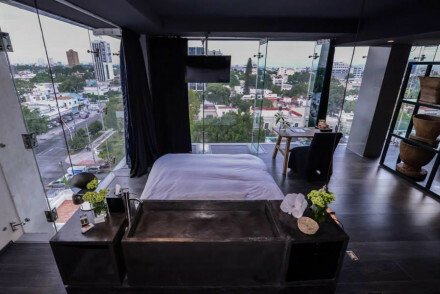 An uber contemporary hotel located in the heart of Guadalajara. Sleek rooms feature floor to ceiling windows allowing for epic city views to be enjoyed right from your bed. Plus a hip art shop, gallery and rooftop pool. With easy access to the city's main attractions this is a winning choice. City Style - A hip spot complete with regional art, rooftop pool and cool contemporary style. Sights nearby - Just a short stroll from the impressive city Cathedral. An ultra-cool contemporary hotel in an equally hip part of town. Beautifully designed rooms are all glass, clean lines and modern fixtures. Unwind over a massage, try your hand at meditation, lounge by the pool or sip a cocktail at the chic bar. Well located for exploring the city. Superb. Local exploring - Located in the hip neighbourhood of Zona Minerva and within easy reach of the historic centre. Sights nearby - Visit the Cathedral to Teatro Degollado in the historic centre. 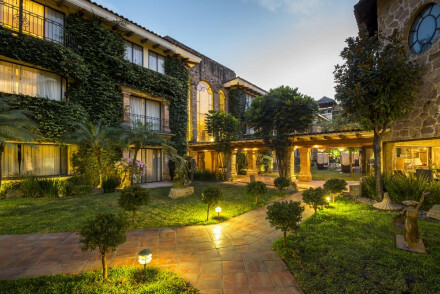 Quinta Real Guadalajara is nestled in a leafy residential area, a short walk from the city centre. Feel like a VIP in their elegant suite-style accommodation featuring antique furnishings and marble bathrooms! Hop in the pool after a busy day sightseeing for a refreshing dip. Utterly charming. Value chic - Beautiful, romantic accommodation at a wonderfully affordable price! 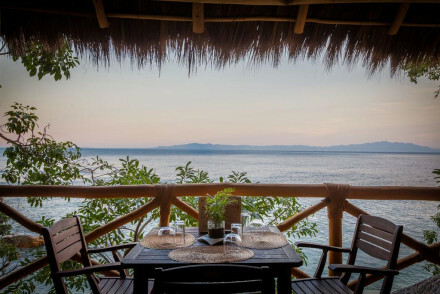 A tranquil resort set amidst a private ecological reserve and just steps from a white sand beach. Rooms mix traditional charm with contemporary style; think beamed ceilings, white washed walls with bright pops of colour. Feast on healthy fresh Mexican cuisine and unwind under the sun. Bliss. Total relaxation - A tranquil resort set within lush gardens and overlooking a stunning white sandy beach. Sailing - Take a scenic boat ride up the San Nicolas river. Surfing - The beach has great waves for surf enthusiasts. 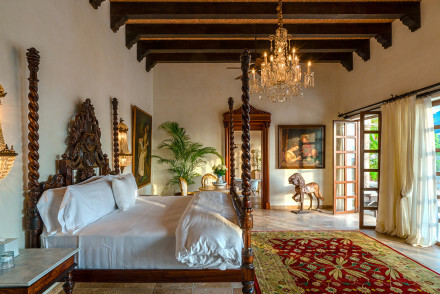 Located high above Puerto Vallarta's cobblestone streets, the elegant Hacienda San Andres features colonial architecture and turn-of-the-century furnishings. Their 20 luxurious suites offer wonderful views whilst their rooftop restaurant serves up exquisite cuisine. A truly magnificent spot! 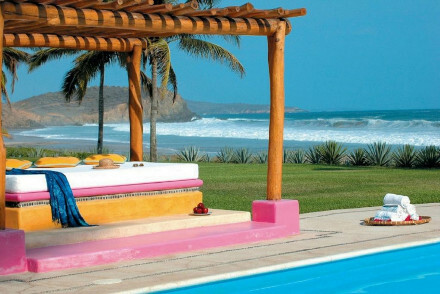 A wonderfully romantic villa boasting stunning views of the Bay of Banderas. Individually designed, colonial style suites feature white washed walls, exposed beams, dark antique furniture and heavenly bathrooms. Iguana Restaurant serves contemporary Mexican cuisine. Utterly beautiful. City Style - A romantic adult-only property with style harking back to a more elegant era. Sights nearby - Visit the Church of Our Lady of Guadalupe just a short walk from the property. Great walks - Wander along the sculpture-filled seafront Malecon. Find tropical paradise in this glorious boutique property. Well proportioned rooms are light and airy with white washed walls contrasted by bright turquoise splashes. Dine on Mexican delicacies in the restaurant (private casas get their own chefs) and enjoy any of the numerous activities. Fabulous. Total relaxation - Set amidst the jungle and just minutes from a stunning beach. Paradise. Surfing - Head to Arroyo Seco for excellent surf conditions. 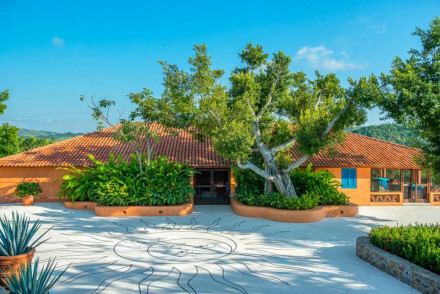 A rustic-chic yoga retreat on the stunning coast 12 miles down from Puerto Vallarta. Only reachable by boat, limited connectivity, open-air bathrooms and daily yoga sessions guarantee that you will get in touch with nature. The food is health conscious and they cater for vegan and gluten free.